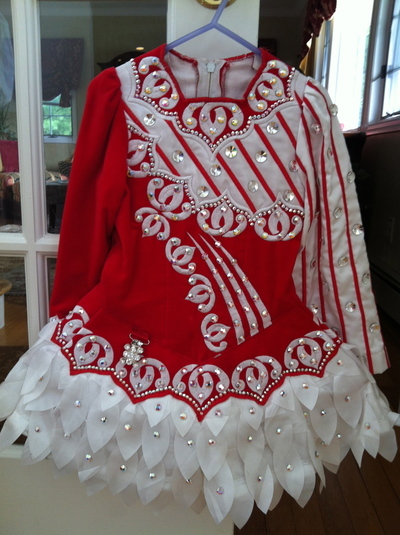 This gorgeous Red & White up to date Gavin Doherty dress was made for the 2011 All Scotland Championships and is perfect for a petite champion. 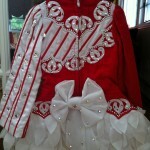 The bodice is made of cherry red velvet with a lovely mix of Celtic design and stripes and is finished with a white fairy skirt. 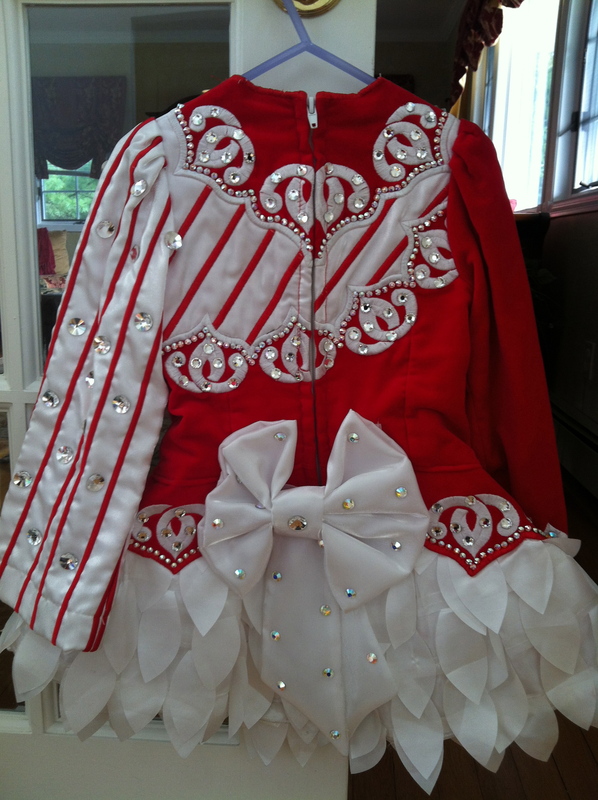 We added additional rhinestones for maximum sparkle. It is in excellent condition and has great stage presence. Asking Price: $US995. Shipping costs are not included in the asking price. Will accept returns and refund the cost of the dress, buyer to pay all shipping costs.